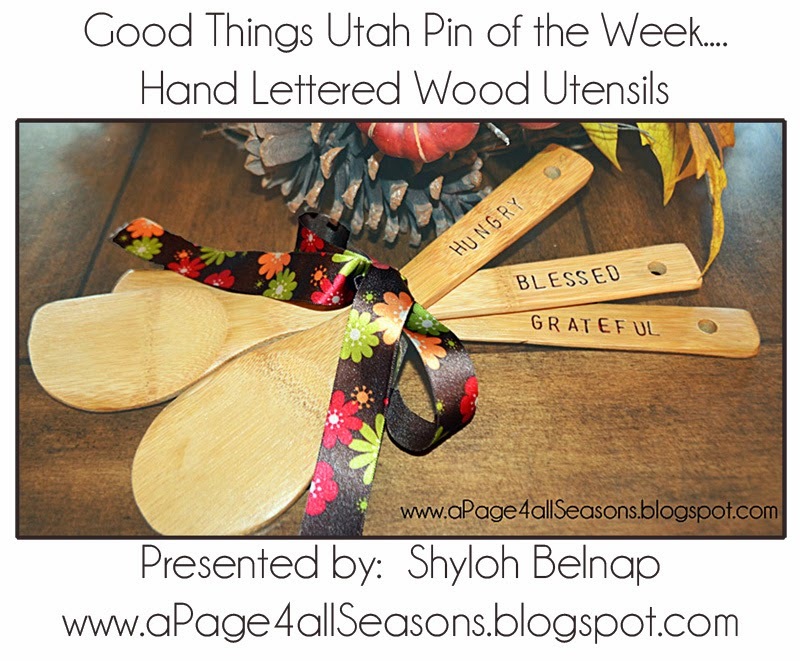 Shyloh Belnap: Good Things Utah Pin of the Week... Hand Lettered Wood Spoons Hostess Gift! Good Things Utah Pin of the Week... Hand Lettered Wood Spoons Hostess Gift! 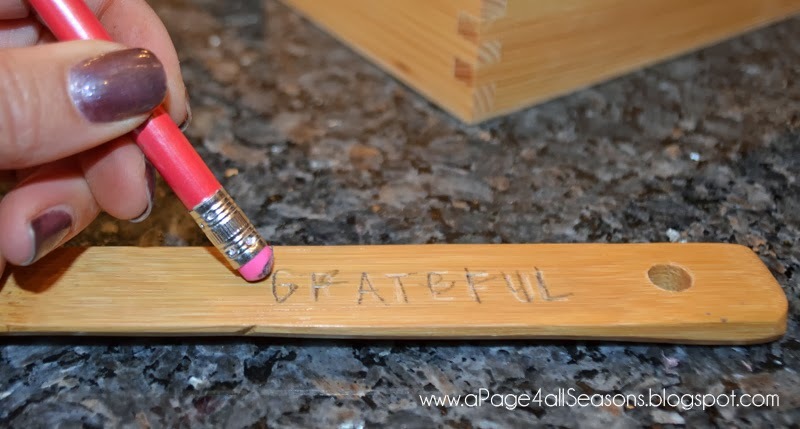 I thought for sure it would be beneficial to check out a “crafty” option for Thanksgiving! I was even more excited when it was SUPER easy! 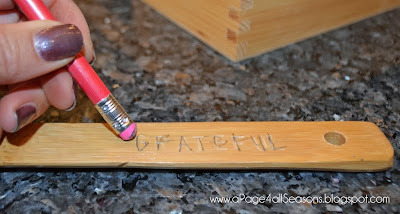 With a hammer, stamp the letters onto your utensil. 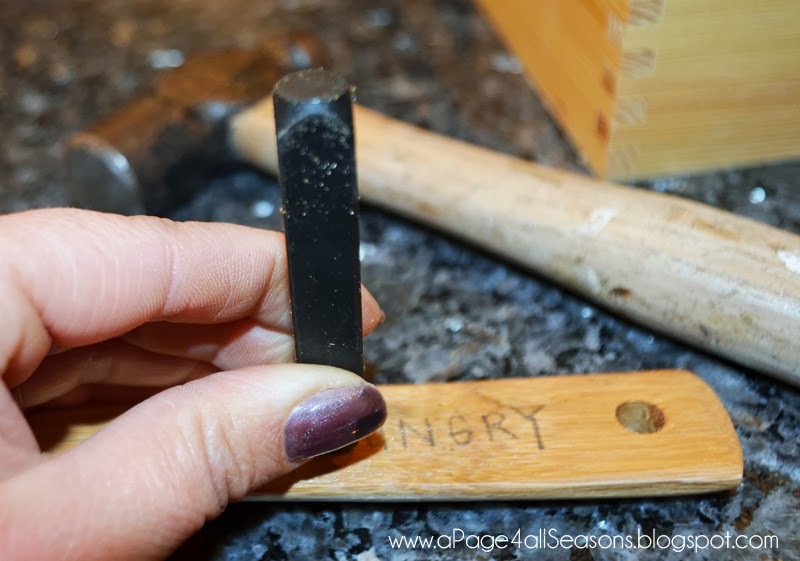 I know… this is not really the sport for all you “OCD” types who have to have things lined up perfectly. I have convinced myself the crooked and off centered letters add “character”. 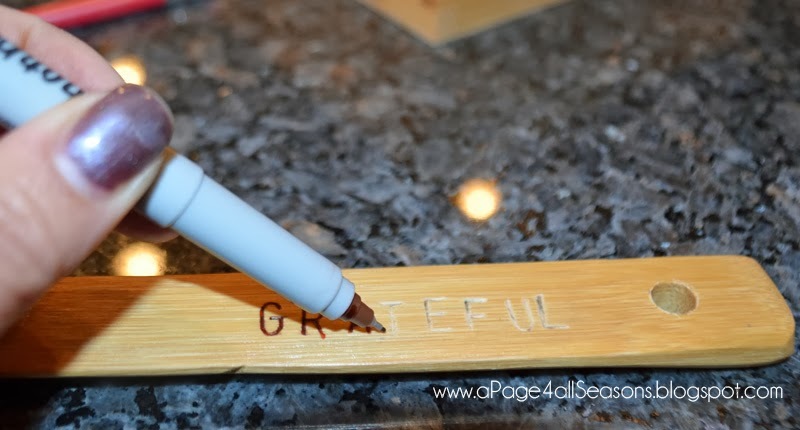 Trace the letters you stamped with the sharpie marker color of choice, tie the utensils together and proudly hand them (and maybe a dish towel or something else with it) to your hostess! And… you won’t be broke for Christmas because all in all these spoons only cost me $3.77! The rest of the stuff I found around my house to use.